M.S. Venkatesh S/o M.V. Satyanarayana (Born on 7th August, 1949) from Bangalore, India. He has been honored with a life time achievement award for his best deeds in all the sectors of his life. He is best known as educationist he has completed his post graduation diploma in management and is a certified mass communicator with acquiring awards for many such events some of them are ISBR Dr APJ Abdul Kalam Memorial award 2016 for empowerment of specially abled children, international vaish federation award 2014 for social service, kannadigara Sneha Koota 2013 for social service. 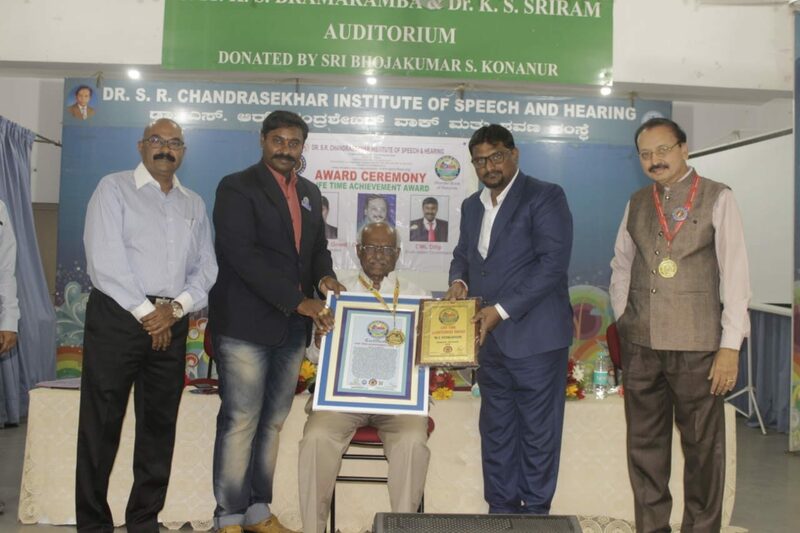 VYC award by Vasavi youth club, Aryabatta international award, Chanakya award, award from rushipreetam charitable trust, felicitation award from Dr. M. S. Venkatesh abhinandana Samithi, Rajya prasasthi award for serving specially abled and senior citizens on world disabled day, Savi nenapu award 2014, life time achievement award by royal academy of global peace on 13th August 2017, Super achiever award in 2017 and many more. He is a man of Excellence as a educationist, philanthropist, social service and entrepreneur. We appreciate and respect him as a best humanist. We honor and Felicitate him with life time achievement award in wonder book of records.